Emory Libraries Blog | Undergraduate Fellowship Opportunity – Apply by April 26! The Association of Research Libraries has issued a call for its third cohort of Fellows for Digital and Inclusive Excellence. 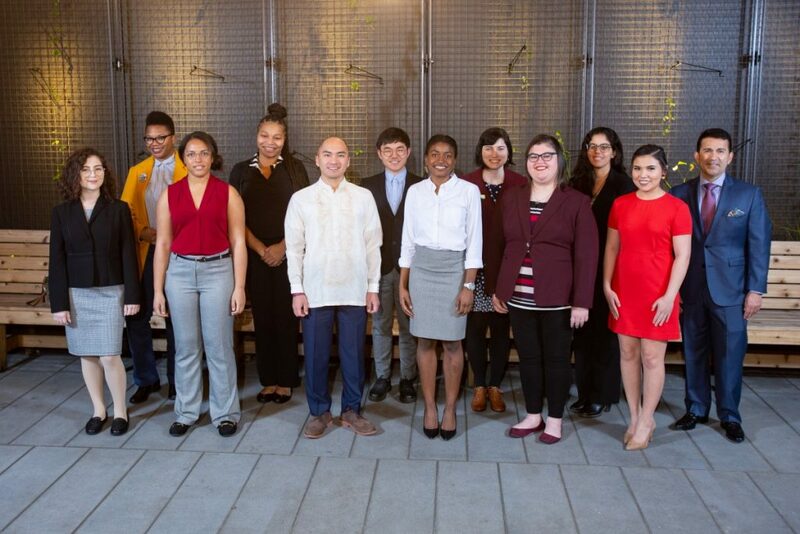 This unique program offers undergraduate students from underrepresented backgrounds a compelling opportunity to explore a career in libraries. If selected by ARL, a successful applicant will undertake a generously paid, technology-themed internship and capstone project at Emory Libraries over the course of the 2019-20 academic year. Additionally, the fellow will join their cohort online for activities and mentorship throughout the year, and in-person at the annual ARL Leadership Symposium in Philadelphia, PA.
2018–19 Digital and Inclusive Excellence Fellows with Mark A. Puente, January 2019. Photo by Matt Hagen Photography. The program represents part of ARL’s emphasis on Diversity, Equity, and Inclusion, which focuses in large part on recruiting and supporting ethnic minorities to a profession that is disproportionately white. Please visit the ARL website to apply, and for additional details about the program, eligibility, timeline, and current fellows. If you want to talk about your application or Emory Libraries, please contact Nik Dragovic of the Diversity, Equity, and Inclusion Committee.